KWESIYA offers a collection of day to work to night African Inspired Clothing with a modern twist using vivid color, punchy African fabrics – Wax and Bazin. I own several of their multi-use scarves and can attest to the amazing quality. I was so happy to be able to catch up with the designer and get to know more about the brand. Q: Why did you decide to become a designer? Was it something you always knew you wanted to do? A: Drawing has always been my way of expression; I have been designing for over 10 years. Fashion on the other hand is one of my most effective way of expression. Your style can be pretty adventurous or understated; it is always an extension of yourself and your personality. It allows me to see life from different perspectives. I always knew that I would be into fashion design. From the very young age; I could not wear a piece without altering it. My style had to be unique. Kwesiya was born from my desire to share my passion for fashion associated with my ambition for displaying diversity, and how different cultures can function together. Q: How do you select the materials/prints that you work with? A: When I was brainstorming on Kwesiya, I wanted to make sure to promote African products and its know-how. I decided to mainly use the Wax fabric (vibrant fabrics, 100% cotton with infinites prints) and Bazin (also called Damask, plain color fabrics, 100% cotton with subtle prints) in my collection. 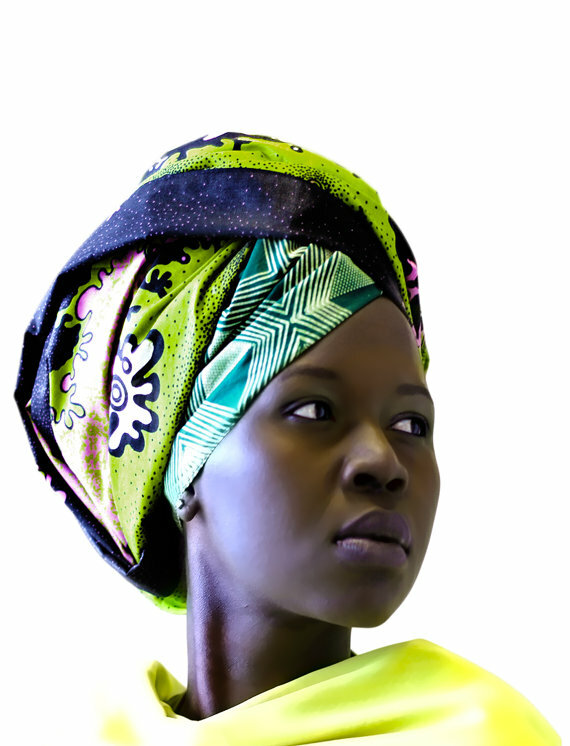 All my fabrics are sourced directly in Africa in order to support local producers. For example, I purchased Wax in Ivory Coast, Kente in Ghana, Bazin in Mali. As Kwesiya has a very modern flare, I carefully select vibrant prints to enhance the African culture, nevertheless subtle to fit the Western market. A: I am inspired by Women and Men that I see every day and everywhere. The innate sense of elegance, sensuality and grace, extravagance or on the other hand shyness that you find in certain people you meet is terribly inspiring. Then there is Culture; Kwesiya is all about mixing different cultures. I am a Cameroonian born, raised in Europe and now living in North America. I am a mix of all those and even more. It will reflect in my work. Q: What would you say sets your designs apart? A: The Kwesiya style is at time very modern, retro chic, ready-to-wear and radiant. I offer pieces that meet the needs of our customer at any time of the day. 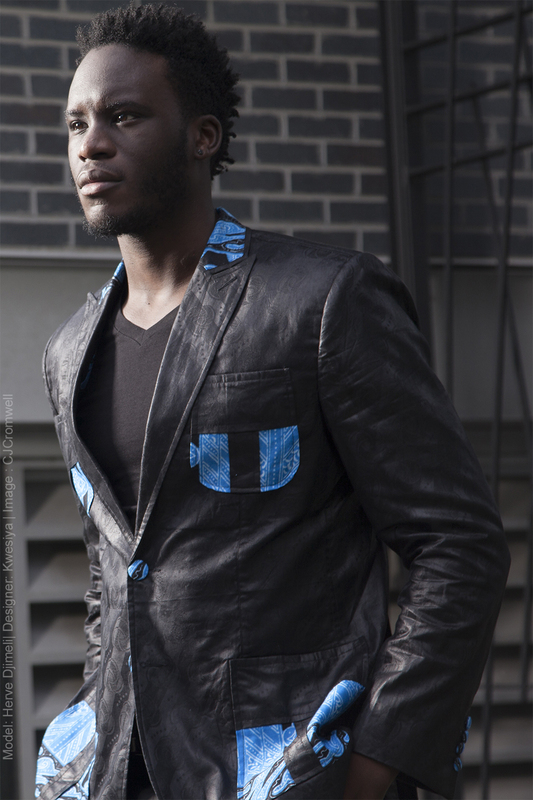 Kwesiya, [kwé-see-ya] which means “mixtures” in a Cameroonian dialect, defines the brand and its essence of inclusion. It is all about mixture of materials, styles, but also cultures. I really like the concept of uniqueness but I also want to include everyone. Q: Do you have any words of wisdom for aspiring designers out there? A: Do not go alone. Be receptive and grateful of any help, advice and critics you receive, no matter how “small” the help are, or how “hard to take” the comments are. People around you are your best allies.